Surely you've seen people posting those amazing looking 3D photos on Facebook and wondered how in the world they're doing it. For anyone owning a newer iPhone, it's really easy to do! Unfortunately, I have an iPhone 6 so I'm not able to post 3D pics but if you have an iPhone 7 Plus, 8 Plus, X, XS, or XS Max all you have to do is activate the feature. Like the Facebook 360 page. 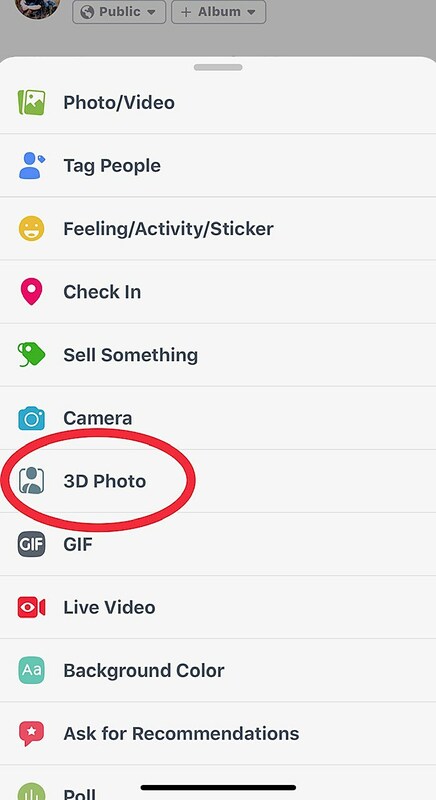 Facebook has a few tips to take the best picture for 3D photos!